Samsung has finally pointed out to its sorting design and released the Samsung Galaxy A5 last year. The mobile phone features a neat design, a more powerful screen, and took a notch higher when it comes to its high-power internals. Samsung has been innovative and brave enough to release the Galaxy A5 after the several negative reviews about the Galaxy S5. The South Korean giant is also trying to keep things fresh in the non-premium mobile market, offering a great new gadget without having to break one’s budget. The release of the Galaxy A5 joins the A3 as Samsung’s flagship phones in the more affordable Smartphone category. The specifications were lowered a bit and the design was put into consideration to be able to arrive with an all-metal unified body that comes with a microSD slot. The presence of a memory expansion slot for the A5 is Samsung’s answer to the lack of the microSD slot in the Galaxy Alpha which had the 4.7-inch screen. It seems that a metal chassis and a battery pack in one unit is not possible with Samsung’s design. The Snapdragon 410 chipset of the Galaxy A5 also features a 720p 5-inch screen and will not eat up much of the 2300mAh battery of the unit. Unfortunately, it does come with a higher price tag compared to Sony’s Xperia Z3 Compact. The 2GB of RAM is more than enough to power most games and load heavy web pages without lagging the device. On the aesthetic side, the metal frame offers a good grip to the hand. It may not have a rear as classy as that of the iPhone 6 and the HTC One M8. Even without the premium feel, the advanced screen technology — Samsung Super AMOLED — helps in keeping the lower resolution at par with other handsets. It even offers a better quality compared to the Galaxy A3. Price-wise, the Samsung Galaxy A5 price in Malaysia is considerably affordable compared to those sold in other countries. You can check the latest market prices in price comparison sites like PricePanda. Taking pictures and selfies also upped an ante thanks to the high quality affair that came along with the metal chassis for this mid-range mobile phone from Samsung. Its 13-megapixel camera is as powerful as most of the 13MP cameras in the market and features a wide selfie mode that is perfect for group shots or groupies. The camera sitting along the LED flash and speaker grille is slightly protruding at the rear of the phone. 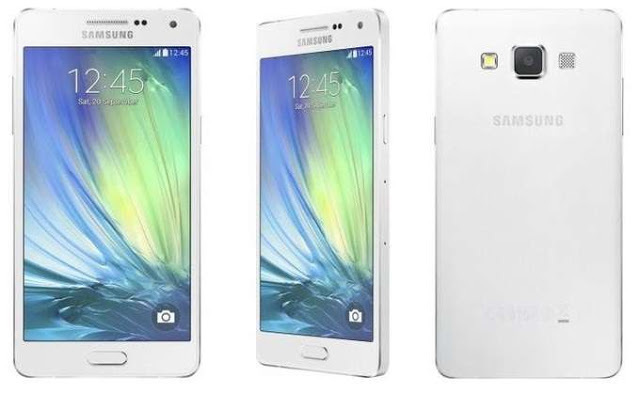 The Samsung Galaxy A5 is indeed one of the best phone available in the mid-range market. Just like what Samsung is known for, the A5 still retains the brands well-known user-friendly interface. It may be considered a little bit underpowered with its CPU chipset but just like the other lines of Samsung phones, the model remains to be one of the most favorite lines in the mid-range category. However, even if Samsung managed to capture the audience once again after resolving the design issues that came with the earlier models, it would be better if the phone would be tagged with a cheaper price. Though the phone may have price issues compared to its contemporaries in the market, the palatable appeal that the Samsung Galaxy A5 is still something to beat in the market. The Samsung’s TouchWiz interface remains to be the edge of this model to the other brands dominating the mid-range mobile phone market. What you think? share with us in the comments below. Tin Vergara is a digital marketer currently blogging for PricePanda – a group of price comparison shopping sites where you can check out up-to-date prices of electronic gadgets and other deals offered by many online shops worldwide.